Homeland, based on original Israeli drama series Prisoners of War, tells the story of prescient CIA agent Carrie Mathison (Claire Danes), a skilled spook with psychological issues. Season five is the latest installment in Showtime’s increasingly dark spy story, and it sees Carrie ‘retired’ and living in Berlin. There’s a man in her life, and her young daughter takes centre stage in her attempt at domestic bliss. But Carrie isn’t a character to bow out quietly, nor are the writers content to let her have any respite. Instead she’s drawn back into the world of covert warfare thanks to some stolen CIA documents. This propels her towards the Middle East, forces her to make deals with known terrorists, and jeopordises her new found safety. But for me the interesting part of Homeland’s narrative is the way that it frames its story within real world concerns. It’s full of references to the Syrian conflict (Quinn (Rupert Friend) opens the season with a conversation about the US and its lack of strategy against IS), and there are plenty of nods to ISIS, Daesh, and Russian/Chinese involvement in what’s effectively a proxy war. 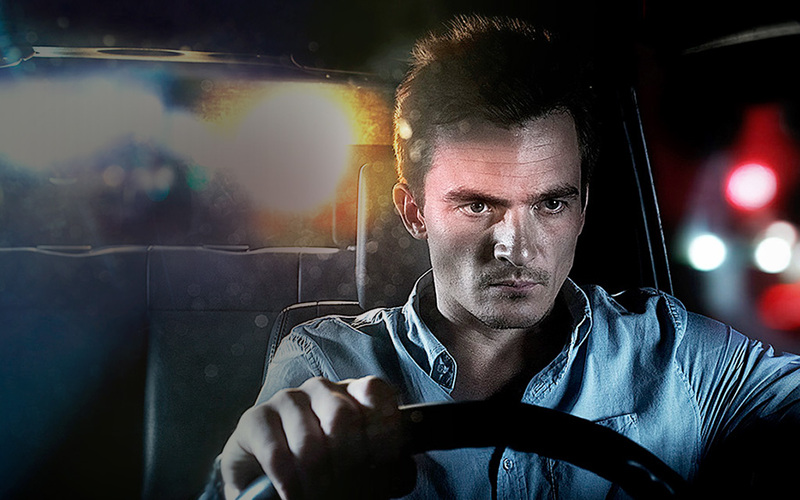 Quinn (Rupert Friend) in Homeland. Carrie however is ostracized, she’s not part of the conversation, and it strikes me that there’s a wider context to Showtime’s hit spy story. In Homeland the US and its alphabet agencies are no longer omnipotent, in fact they’re out gunned, and frequently out maneuvered. If this season heads in the direction that I think it’s going in, then it will have far more to say on the US and its misuse of its global hegemony. What interests me is how a prime time big budget TV show can say more about US foreign policy, than most political commentators. Of course, Homeland is a fictional TV show, but it reflects its time far more than any other narrative on our screens. It seems honest, at least in its damning perspective on the CIA and the tools it uses, and it frequently speaks with a simplistic sort of eloquence about Western involvement in Muslim affairs. But it stands in marked contrast to FOX’s espionage thriller 24. Back in 2001, shortly after the world changing events that occurred in New York, 24 was released. Its story of a gun toting white counter terror agent, a man unafraid to torture and maim for the United States, was reflective of the real world events that led to the invasion of Iraq, Afghanistan, and the eventual execution of Osama Bin Laden. It seems we get the hero we deserve, and for a time, violent state sanctioned torture was sold through a fictional lens as justifed. 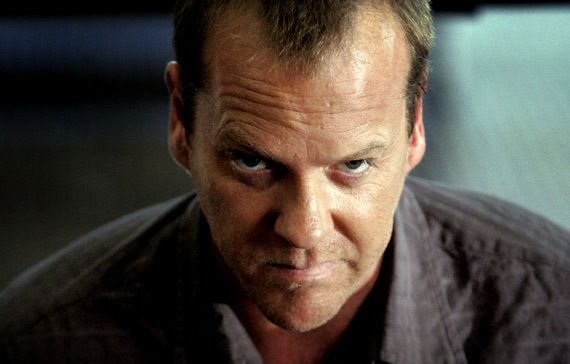 Jack Bauer was a killer, and his methods were unconscionable, and frequently terrifying. Bar the absurdity of some of the narrative decisions, 24 was reflective of a different sort of USA, a perspective that has since eroded. Jack Bauer (Kieffer Sutherland) in 24. The might of the American empire, wielded by one man, is no longer a story that we want to hear. It’s no longer true, and the USA and its allies are now part of a coalition, they share information, and they don’t act in the interests of their citizens. The collective understanding of the USA and its methods has shifted, perhaps irrevocably. The legacy of the Bush years, captured succinctly in 24, is a more dangerous world, and the dust hasn’t settled yet. In this new and uncertain world, full of different teams and allegiances, the simplicity of 24’s narrative is clearly a relic from another era. Homeland however fills the gap left by the blunt violence of Bauer’s world, with the psychologically damaged thoughtfulness of Carrie’s. There’s the obvious change in the fact that Homeland is led by a strong female character (made even stronger by the mental anguish she has to go through), but Jack Bauer didn’t escape that side of the job either. He also battled with psychosis, drug abuse, and the toll that a profession like this takes on a person. But audiences within the context that 24 was released into, assumed that it was a price worth paying. Not so with Homeland, a narrative that frequently questions the motives of people who kill from the shadows, who execute and maim, and who bomb from a distance. Bauer fought with his hands, like an 80s action hero, but Carrie fights from far off, she’s physically weaker than her aging counterpart, but she has intelligence and uses it. For me Homeland provides a pop culture commentary on real world politics, but it’s the story type that interests me. It’s far darker than 24, and it brings the stylistic touches of the Bourne Trilogy to the small screen. It’s a show that has evolved, from its glossy Washington DC set love story, to its Carrie led character study, and its transition reflects the change in the way that contemporary audiences perceive the United States. In 24 Jack Bauer hacked a man’s head off with an axe; in Homeland Carrie was dosed with a hallucinogen in a foreign city. In the dark ages of the early ‘00s, Bauer inflicted damage on enemies of the USA, but now, in our unenlightened drone bombing contemporary era, Carrie becomes our punching bag. She absorbs the terrible things done in our name, and she attempts to make sense of an increasingly psychotic world. Homeland isn’t an excellent show, but it does say something about the West and its place in this violent, cruel, and ugly old world. There’s nothing brave, or new, about the mess we’ve created, and within the confusion it’s easy to pine after strong male figures like Jack Bauer. But it’s also important to remember that 24, and the might of the real world ‘Shock and Awe’ that brought Iraq to its knees, are stories. They’re contemporary myths that do us more harm than good. Carrie on the other hand, well, she’s stronger than Jack ever was because her world is just like ours. A chaotic whirlwind where no one can wrest control, where there are no singular truths or grand narratives, a place filled with people who have no idea what’s right, or wrong. There are plenty of conversations to be had about the merit in retelling real world events in a TV show, especially when those events have harmed and damaged thousands of people on a global scale. Is it fair to mine contemporary suffering to tell a story? Perhaps it’s necessary, perhaps Homeland has to exist to undo the damage done by TV shows like 24. We can no longer claim ignorance as an excuse. Homeland explores issues that many of us would rather not acknowledge. Homeland reflects the Obama administration and the tools it uses to project US military might across the globe, and 24‘s story belonged to the Bush era, with its more overt form of conflict. Neither TV show questions its legacy, or particularly challenges its real world contexts, but both remind audiences that the West, and the US in particular, is war mongering, violent, and hypocritical. Our way of life is shored up by violent people and invasive technologies, and we fail to see that it’s our legacy too. Carrie Mathison and Jack Bauer have fictional blood on their hands, but we are the destroyers of countries, and we are responsible for murder and destitution. Homeland may well be a fun action story for a Sunday night, but what we’re watching happens to real people on a daily basis. Perhaps it’s time for some self reflection.